At the end of last term I was utterly privileged to be commissioned by the Royal Opera House Bridge to capture the creative essence of schools who are going to be featured in their book of best arts practice within a variety of schools. It was wonderful to go and see nine different schools from across Essex and North Kent, to understand how they implement the arts within their context. 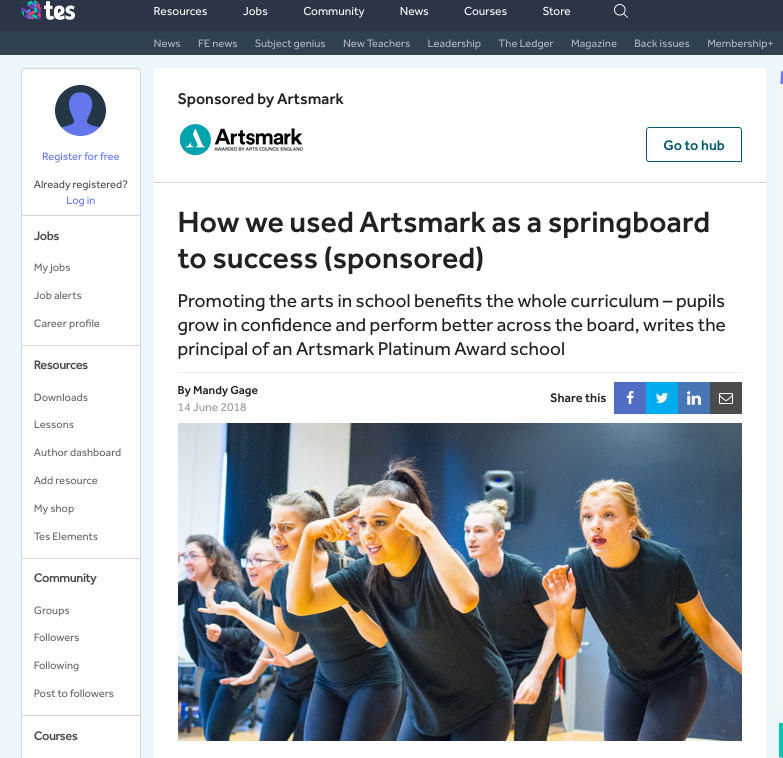 This was an incredibly challenging task, taking photos of young people doing the arts is exciting and relatively easy, but capturing how the school has bought the arts into their values and changed how they work at a fundamental level was much harder! The schools and ROHB have been very happy with the results. Richard Speight – Royal Opera House Bridge. One of the photos has been used in an article in the Times Educational Supplement website. The full article can be read here. Interested in working with me to share the essence of your organisation? 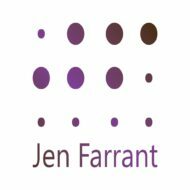 Get in touch on Jen AT jenfarrant DOT com. My local park is under threat of being sold off to make way for a 900 student secondary school. This is in the middle of a warren of tiny residential streets, it is the only open space for quite a way and it is incredibly well used. I am spearheading an apolitical campaign to stop this from happening, it is vital that we protect all green spaces, especially in built up areas. 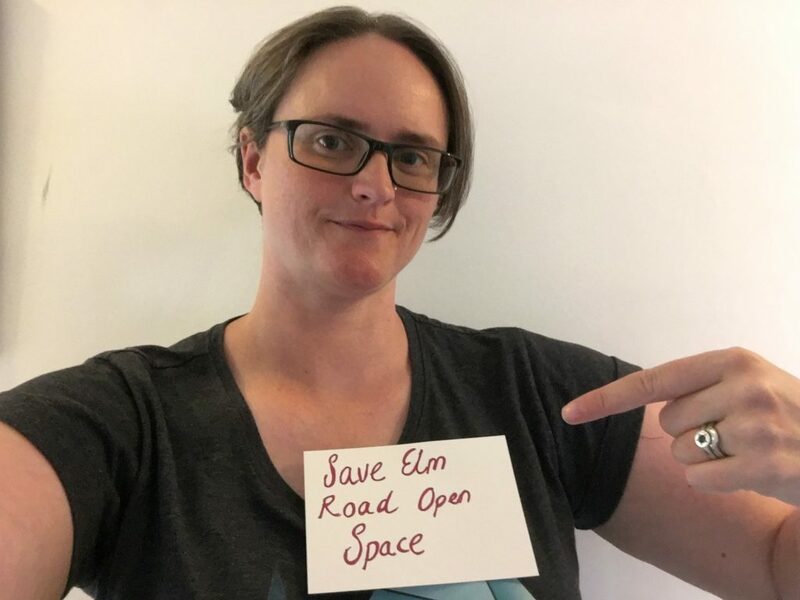 Please join us on the website, Twitter, Facebook and if you are a Thurrock resident please sign the petition. I have been interviewed by the local newspapers and radio too. Due to the way social media works, we need as many follows and likes as possible, as this means it gets shown more too. About six months ago I started to code. Or, more to the point, code again. I learnt to build websites over 15 years ago, well before WordPress or even any ‘what you see is what you get’ editors, it was in raw HTML code. I stopped when changed jobs and I no longer needed to maintain the website. I watched the launch of the Raspberry Pi with jealousy…and never bought one because what use would I have for it? I decided a while ago to delve back into my techie, geeky self and start to learn to code. Amusingly I couldn’t set up a username on one coding site as it was taken. Jen Farrant is relatively unique name, I’ve always managed to get it as a username in the past, so after putting in an old, abandoned email address the account popped up. I’d set this up over six years ago. Hmm, if only I’d followed up on that whim at the time! Like with everything I’m realising that to get good at code, you have to put the time in. Decide that’s what you want to do and then do it. I absolutely love coding and I am getting better at a steady pace, because I work on it every day (aside from Sundays, when I have a complete day off from all things digital and learning focused). Whatever it is that is my core focus, music theory, Python, piano, I tend to do it first thing in the morning. I am definitely a morning person. That way, my strongest focus goes on the thing that is hardest and I have a fantastic sense of achievement to kick me off into the rest of my work. As when I was learning music theory, I use a variety of methods. I primarily use Team Treehouse as an online academy, but I supplement this with various books, Codecademy (which is similar to Treehouse, but explains things in a different way), Google searches when I get stuck and I’m going to be studying Python with the Open University too, which will take a different approach again. Learning new things is hard, there is no getting away from it. Few people sit down and discover THIS was what they had been born to do and are suddenly virtuoso at it. You have to decide this is what I want to do, then figure out the right habits, and environment, for you to keep turning up day after day after day to do it. I love getting back to my techie roots – my first ten years of work were in the IT sector. Oh and the Raspberry Pi? My husband bought me one for Christmas and I’ve been enjoying building and coding with it. I wish I had done that years ago. I think this comes down to Liz Gilbert’s exhortation to follow your curiosity to find out what your passion is, rather than telling yourself not to be silly. That was mainly because I don’t want my feed to look like the feeds she promoted and I do not want to worry about a perfectly curated feed which needs planning in advance. Doing the course actually stopped me doing Instagram as I couldn’t and didn’t want to do Instagram like she did. For some reason it didn’t occur to me that I could do Instagam as I wanted. At that time the accounts she promoted, or the ones that I followed made me feel really bad. First of all there was the flat lay and floral contingency, feeds full of beautifully curated, perfectly laid out things, knick-knacks and colour coordinated gewgaws. Or peonies artistically arranged, in what I thought (naively) were perfectly beautiful houses, but were in fact backdrops and bits of wood, not people’s tables. Those with perfect homes without any stains on the wall, all perfectly lit. I found out they all edited the photos to remove the marks on the walls and yes, they did indeed use lighting, it wasn’t that their houses were flooded with natural light. Then there were the health accounts, the ones full of perfect bowls of super healthy food, or the yoga accounts of fit, skinny twenty year olds on California beaches. I’ve been doing yoga on and off for well over 20 years and I don’t look like those people. I live in an suburban, industrial/post industrial bit of England. My life is not lived on a Californian beach. With my personal photography I don’t focus on things like that, but odd juxtapositions, which often don’t look like the standard definition of beauty. But my biggest problem is that I am giving over the ownership of my work to Instagram. And at the end of the day I am building their business for them, they are making direct money off of the fact that I, and hundreds of thousands like me, give my work to them to use free of charge. I haven’t been great at sharing my client photography work here on the site. I’ve done a shoot for Thurrock Council (the switching on of the Christmas lights), as well as working with local businesses, finding ways to explain their work through images. I’m currently working with Royal Opera House Bridge. I should upload them here. But because I decided not to Instagram them, I didn’t take the time to upload them to my portfolio. Strange isn’t it? There is no doubt that it is more effort to share here, than through Instagram. But I am building on my land, rather than chucking my work out into the Instagram vast desert. And with my site, I don’t get sucked into hashtags, comments etc. I retain control – of my work and of my time. My site adapts to me and what I do. I’ve lost track of the iterations of my start here there has been, and it expands and contracts as it needs to. Now my health is excellent, I no longer blog about disability and chronic illness, but those things still sit on my site, including my most hit blog post – the fight for a wheelchair. As my client offerings change, my site changes to reflect that. I maintain control of my site. If people sign up to the RSS feed, or email alerts (on the right hand side of the page) on new posts they get them directly, rather than my news being dependent on the Twitter/Instagram/next social media algorithm. It’s there to remind me, every single moment I glance up and to the left (which is where I tend to look when I am thinking) that we all have 168 hours in a week. What am I going to do in that time? 1) There is only 168 hours in a week – I honestly can’t do everything that I want to do right now, what is my priority? 2) Is scrolling through Facebook/Twitter/Instagram AGAIN going to make my life what I want it to be? 3) am I focusing on what is scheduled in my calendar – working towards my long term aims? This year I didn’t set myself goals to achieve, last year I had an extensive list. This year I have long term aims – the direction I want my life to be heading, along with monthly goals and daily Most Important Tasks, which get scheduled into my calendar hour by hour. Working like this makes me feel good and my most important work gets done too. This weekend I was privileged to take part in a rehearsal day with the international composer and director Nigel Hess. My concert band does these sessions every couple of years, we then go on to perform the composer’s pieces in a special concert later in the year. I can’t remember the last time I had such a wonderful day. Nigel was incredibly generous spirited in his direction of the band. We are a community amateur band and he is used to working with professional orchestras. He was full of praise and encouragement, as well as getting us to play his pieces so much better than at the start of the day. I am certain that everyone else enjoyed the day as much as I did. My band is a very important part of my life, and music generally. When you play music you are actively creating. You are taking control of your life, not passively consuming, but making. When that is combined with taking part with other people that is a recipe for some feel good hormones being released through you body. I have been quite open about my journey of learning to play an instrument as an adult. It is not easy. There are a million and other things I could be doing with my time. It’s not like I picked up the flute and suddenly started playing, that I was an undiscovered genius and just had to find the right thing. I work at this. I put the time in, practicing most days, and for extended periods of time now too. Sorry neighbours, especially when I’ve been learning new high notes. When I passed my Grade 5 flute (and it is only ever a pass as I get incredibly anxious in exams), I was delighed, but had to do my Grade 5 Theory before I could continue any longer. The whole way through playing the flute I had been saying I didn’t want to do theory, I couldn’t see the point in it. Now I had to study them all in one go to get up to G5 standard. I’ve written about that here. There are times when I am playing with the band, especially when we revisit pieces from previous years, when I suddenly realise how much I have improved. It gives me a huge sense of achievement and satisfaction. Days like yesterday make me want to practice more and get even better. Taking part in a hobby where you are being stretched, challenged and grow is incredibly positive for mental health. Being part of a community is good for your well being. Community music helps on both points! I also think creating, rather than consuming is also excellent for wellbeing. My band is Harmonie Concert Band, and you can find a local band, orchestra or choir here.